There are three theories of how the Newfoundland came to be, though as is the case with most breeds, it's hard to validate. 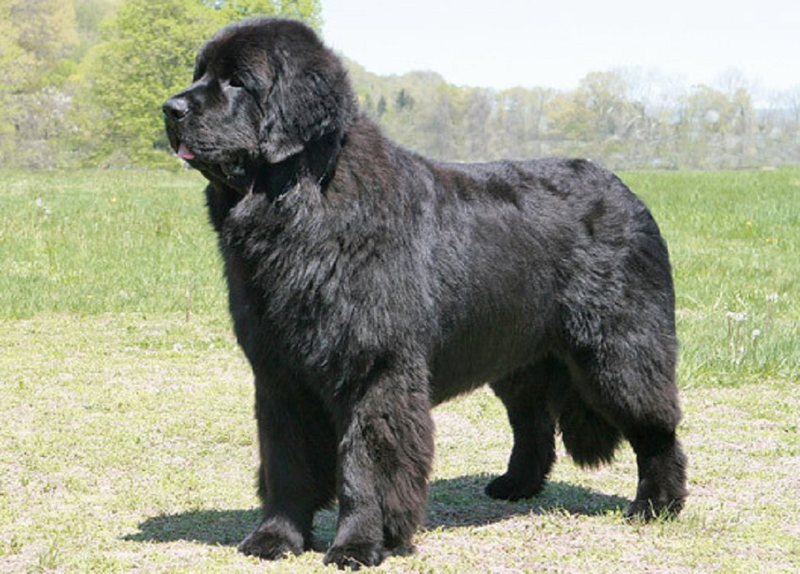 The first is that the Newfoundland is a cross between the Tibetan Mastiff and the now-extinct American Black Wolf. Through the pairings of those two animals, the Newfoundland eventually evolved. What is known is that sometime in the late 18th century, Sir Joseph Banks, an English botanist, acquired several Newfoundlands and in 1775 George Cartwright named them. In the late 1800s, another fan, Professor Albert Heim of Switzerland identified and described the breed. But the existence of the Newfie, as the breed is sometimes called, was in jeopardy until then. In the 1780s, the breed was almost wiped out because of government-imposed restrictions mandating that Canadian families had to pay taxes on the one dog they were allowed to keep. One person who contributed to the Newfoundland's resurgence was Sir Edwin Landseer (1802-1873), who liked to include the Newfoundland in his paintings. The white and black variety of the Newfoundland was named Landseer in his honor. But the future of the breed was truly solidified when the Honorable Harold MacPherson (1884-1963), governor of Newfoundland, made the dog his breed of choice. In 1860, the first Newfoundland was shown in England. The breed was first registered with the American Kennel Club in 1879 and the first American Newfoundland champion was titled in 1883.